A Chevy Chase luxury condo located at the epicenter of luxury shopping mecca … the “Rodeo Drive” of DC featuring Neiman Marcus, Dior, Gucci, Tiffany, Vuitton, Saks Fifth Ave, Ralph Lauren and much more. Walk to the Friendship Heights metro, gourmet grocery stores and lots of fabulous restaurants from SushiKo to Lia’s, Famoso, Capital Grille, PF Chang’s, Maggiano’s and Armani Cafe plus the Mazza movie theater. 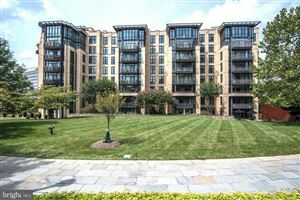 “Fine Urban Living™” is the trademark of PN Hoffman – developer of this magnificent Chase Point Condominium located in the Friendship Heights community of Chevy Chase DC. More than just an elegant turn of phrase—this developer specializes in creating extraordinary upscale condominium residences and this is one of their signature properties. The Chase Point Condo at 4301 Military Road features 107 contemporary units ranging from 980 to 2,700 square feet with two bedroom units, two bedrooms plus den, and three bedrooms with den, plus amazing two story penthouses. Floor to ceiling windows with ceiling heights ranging from 9 1/2 to 20 feet and floors made of exotic woods plus luxurious touches including Viking kitchen appliances, custom kitchen and bath cabinetry with granite and marble countertops plus natural stone floors capture the quality of these residences. Two-story penthouse units include stunning stairways and handrails plus large terraces. Building amenities include a 24-hour front desk, large state-of-the-art fitness and exercise center, an owners’ club suite, and two underground parking spaces per condo unit. Scroll down to see all the current Chase Point condominium listings for sale and rent … then call me to setup a private tour! If no listings are shown below, then there are none on the market now so check back or contact me at 240 988-4400 and I’ll let you know when some become available. See all Chase Point Condo.